Function/ Service provided: þ A. 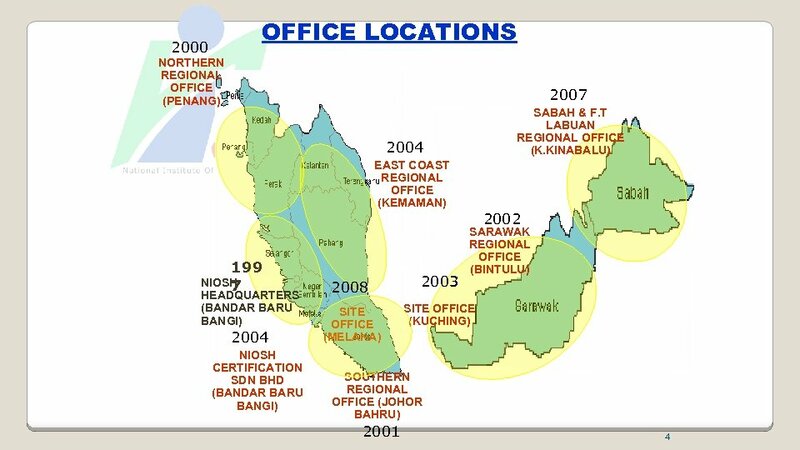 Training Programs 1. 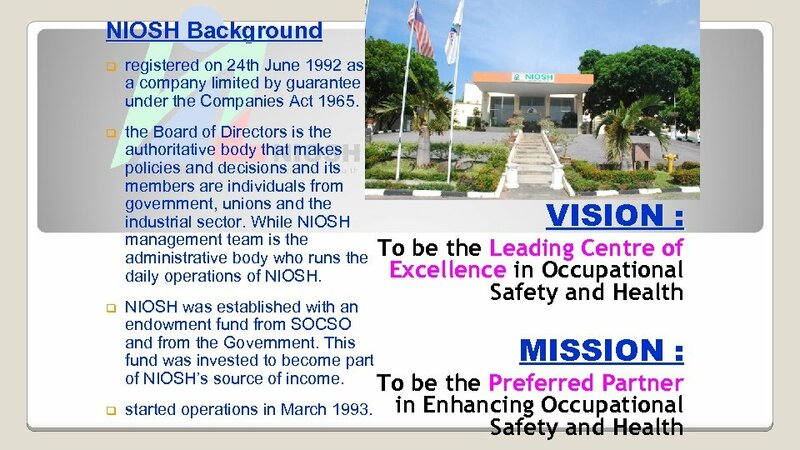 OSH Practitioners’ / General OSH 2. 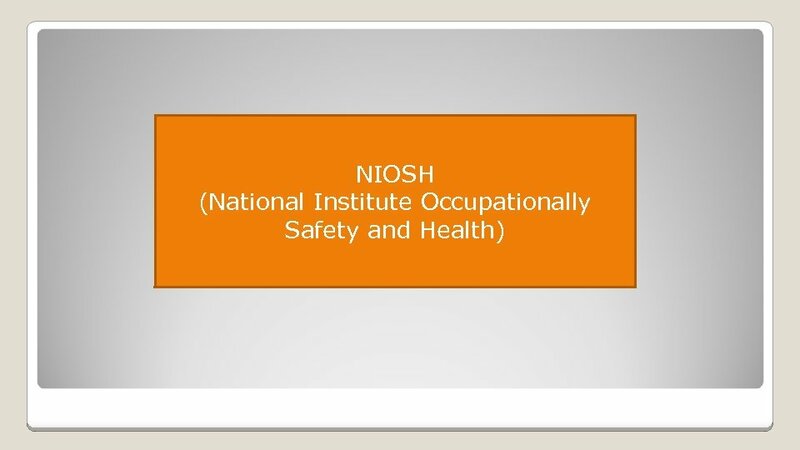 Certificated / Competent Persons Ø Safety and Health Officer (SHO) Ø Authorised Gas Tester (AGT) Ø Occupational Health Doctor (OHD) Ø Occupational Health Nurse (OHN) Ø Industrial Hygiene Technician (IHT) Ø Chemical Health Risk Assessor 3. In-house 4. Train the Trainers 5. 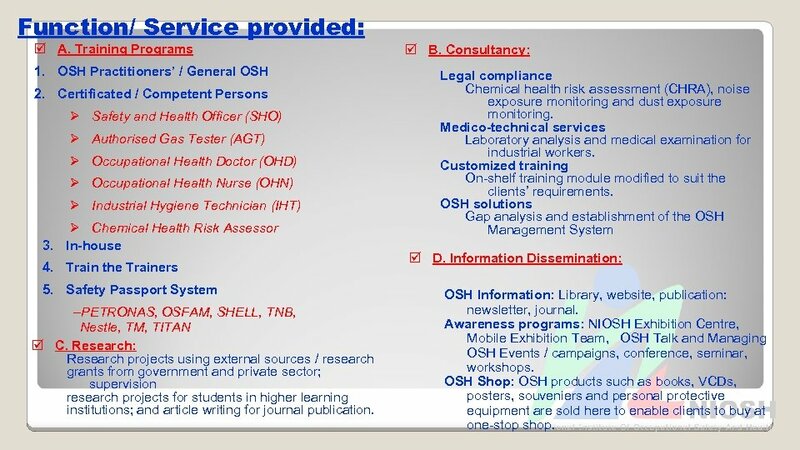 Safety Passport System -PETRONAS, OSFAM, SHELL, TNB, Nestle, TM, TITAN þ C. Research: Research projects using external sources / research grants from government and private sector; supervision research projects for students in higher learning institutions; and article writing for journal publication. 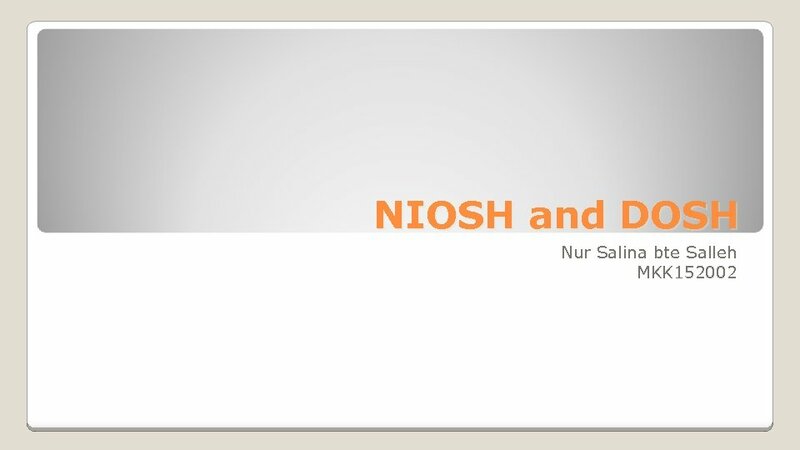 þ B. Consultancy: Legal compliance Chemical health risk assessment (CHRA), noise exposure monitoring and dust exposure monitoring. 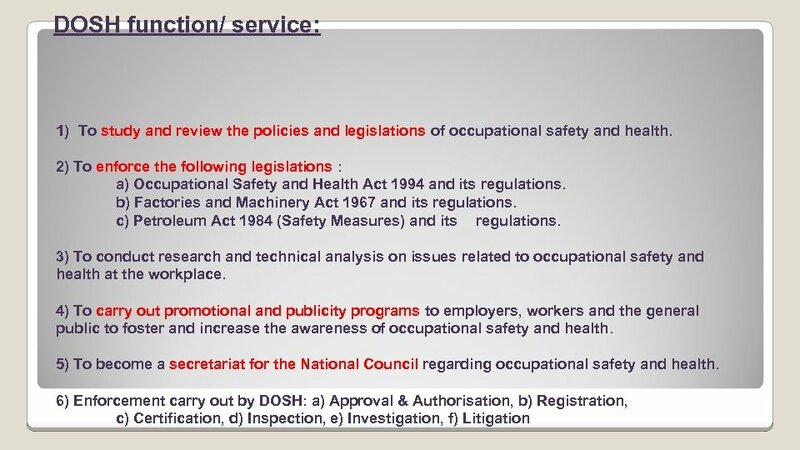 Medico-technical services Laboratory analysis and medical examination for industrial workers. 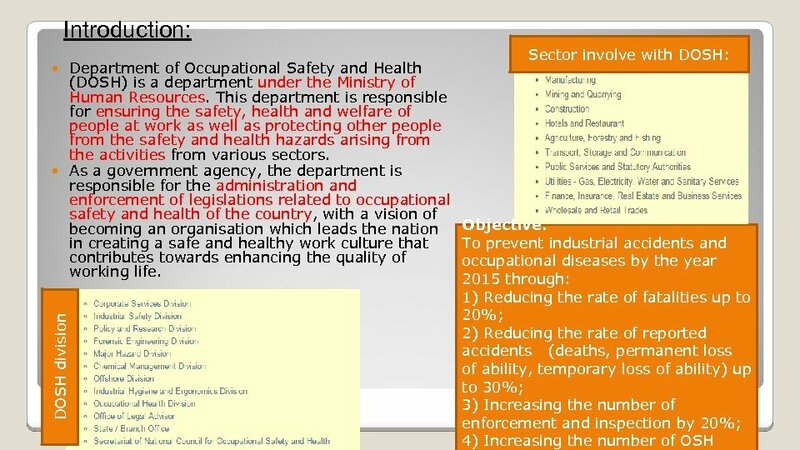 Customized training On-shelf training module modified to suit the clients’ requirements. 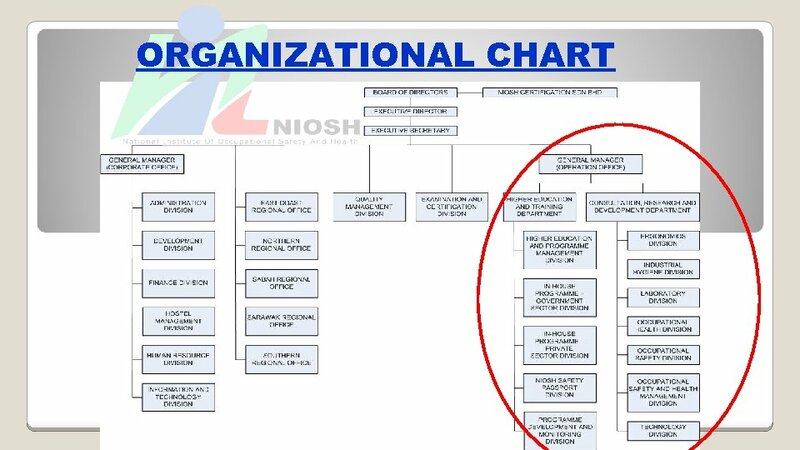 OSH solutions Gap analysis and establishment of the OSH Management System þ D. Information Dissemination: OSH Information: Library, website, publication: newsletter, journal. 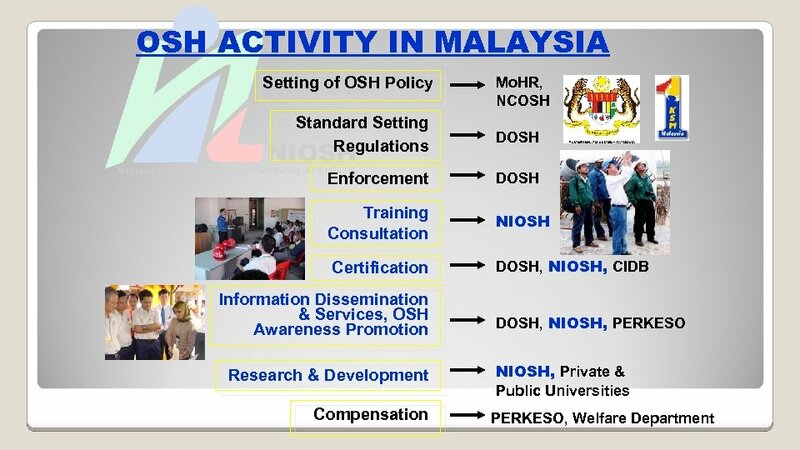 Awareness programs: NIOSH Exhibition Centre, Mobile Exhibition Team, OSH Talk and Managing OSH Events / campaigns, conference, seminar, workshops. 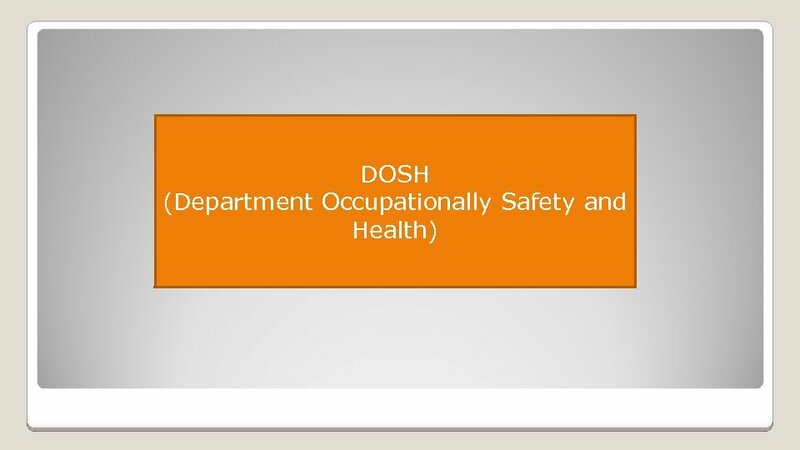 OSH Shop: OSH products such as books, VCDs, posters, souveniers and personal protective equipment are sold here to enable clients to buy at one-stop shop.